You’ve had a PlayStation 3 since launch, you take advantage of the PS3 Remote Play with you PSP on a daily basis. Yet, there is still an empty void left in your gaming heart. You sit day in and day out thinking, “If only I could take my PS3 with me wherever I go.” Well, today is your lucky day, as soon your dreams may come true, if your willing to pay for them. As I said earlier you will have a chance to own this piece of hardware yourself. Engadget plans on auctioning it off sometime in the future, with the money going towards charity. 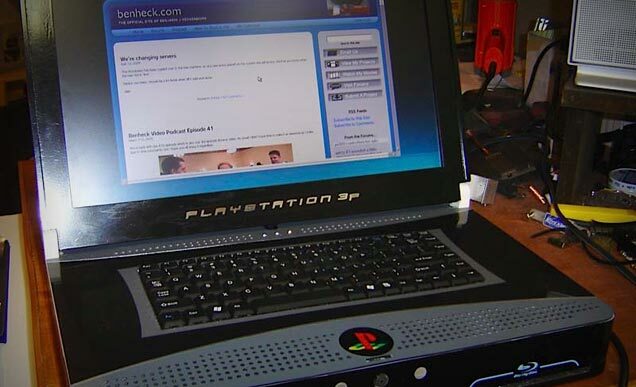 But, for now you will just have to settle with a video of the PS3 laptop in action.